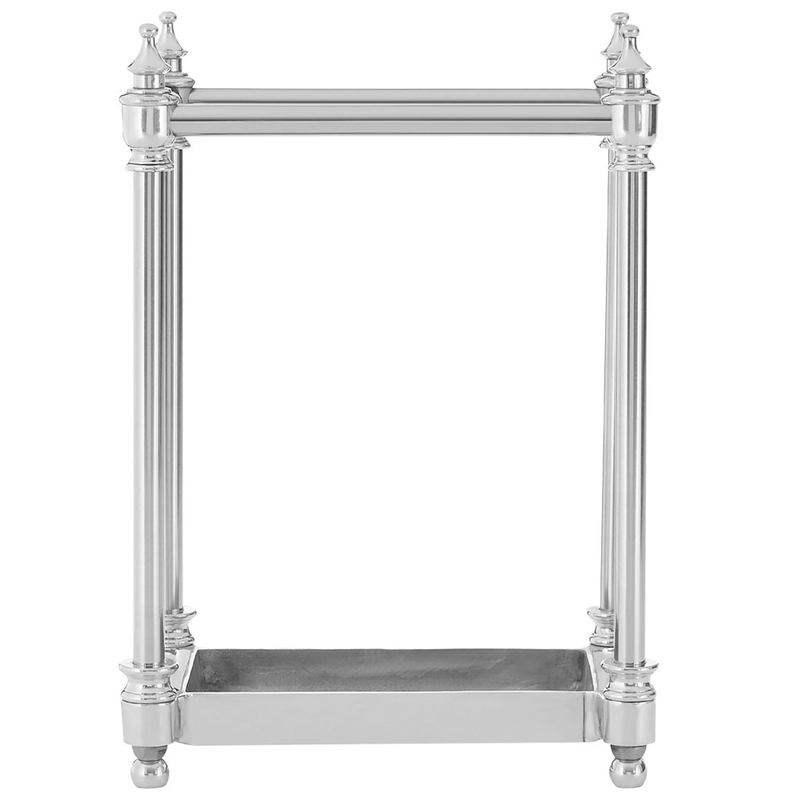 Add a contemporary style to your home by introducing this magnificent Silver Umbrella Stand. This umbrella stand has a beautiful design that'll be sure to stand out and impress, whilst being a practical feature in any home. The four legs make this piece stand up perfectly, the silver colour enhances the silver colour.